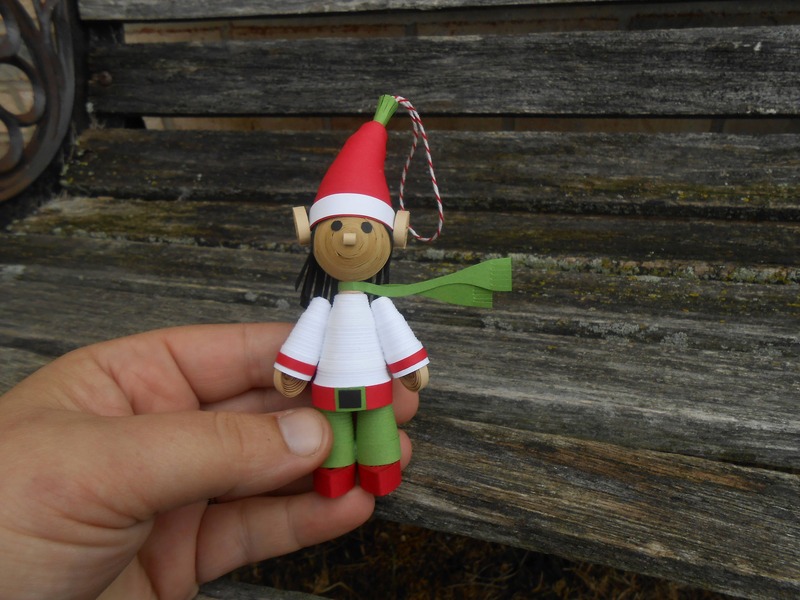 This little elf is the perfect gift for anyone! 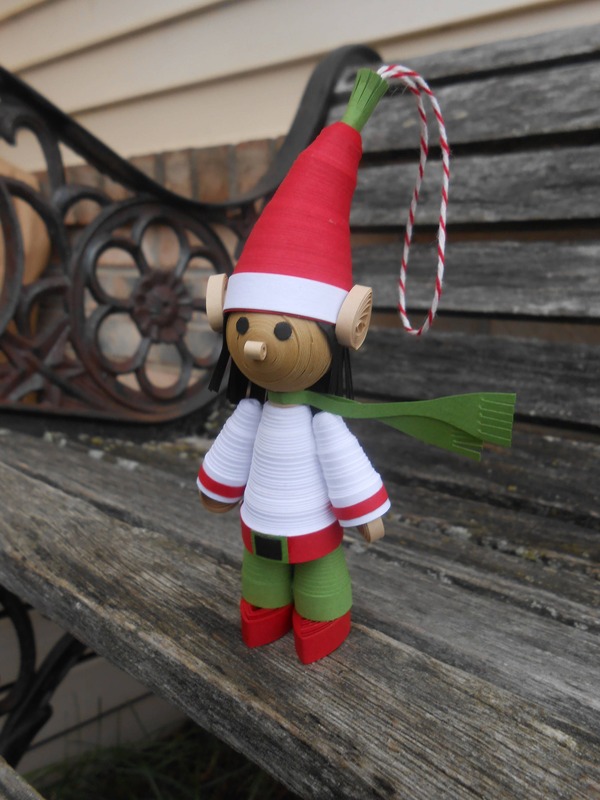 Made from cardstock, every part of this elf is shaped from quilled paper. 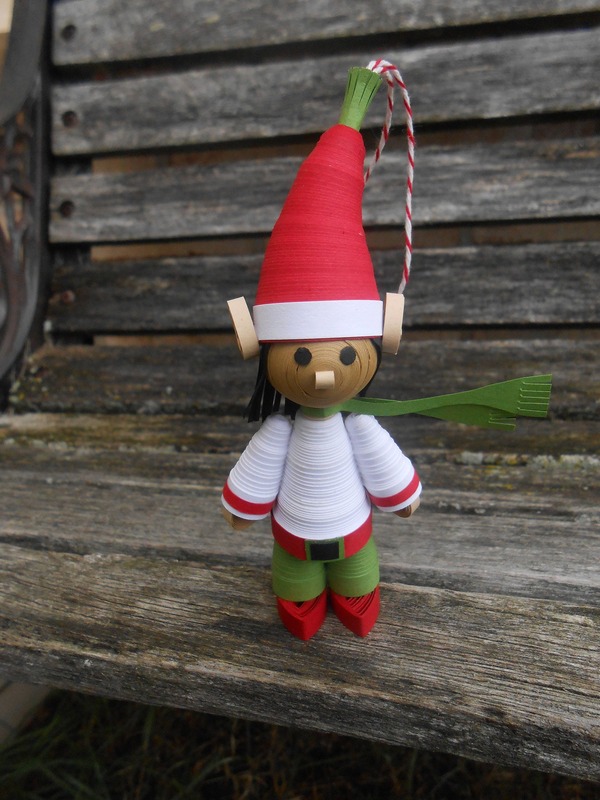 He is done in white, red, and green, and stands about 4.5" tall. 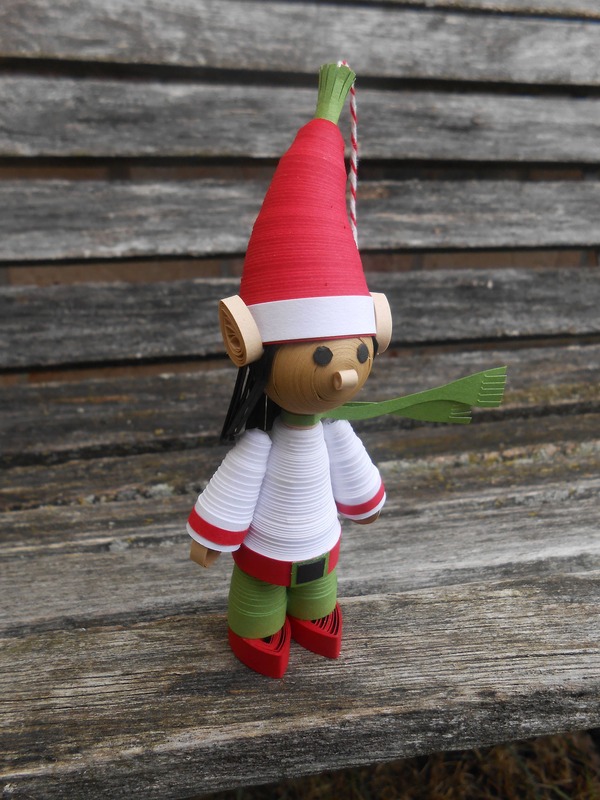 The elf has a tall hat and a green scarf. 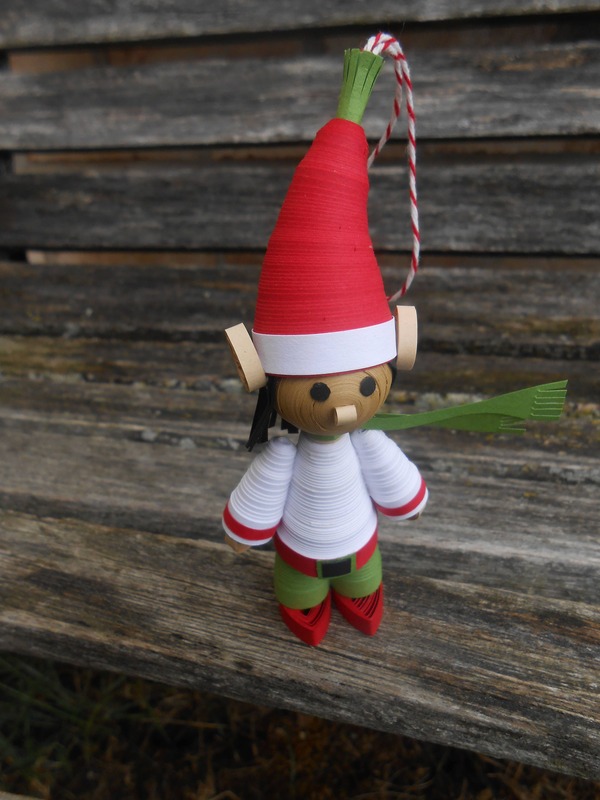 He even has a little piece of twine coming out of the top of his hat, so you can hang him on your tree, or anywhere else you want to put him! Quilling involves taking long, very thin pieces of paper and twirling and shaping them. It takes a lot of twirling to make these little guys, but they are so worth the effort!! This listing is for one elf. Please allow me a few days to make them. 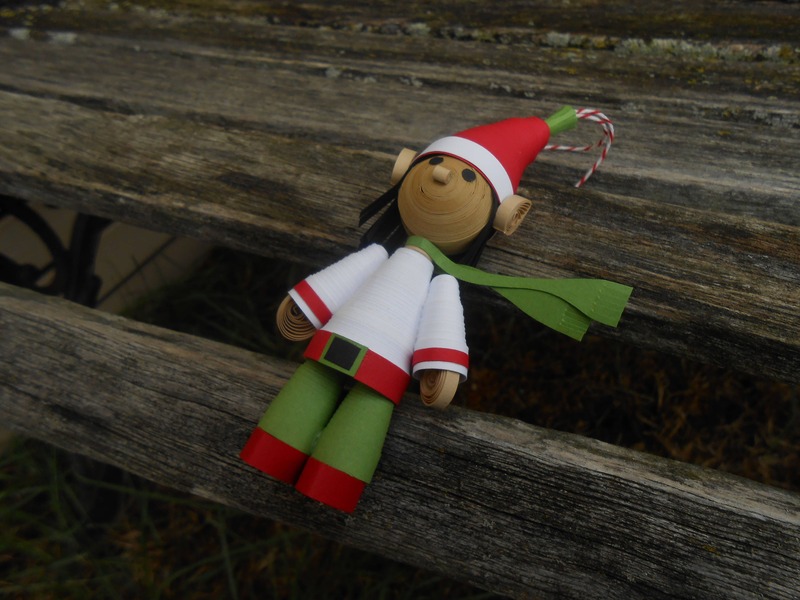 SEE my store for other elves! CUSTOM ORDERS WELCOME! I can do these in any amount, color, theme, size, etc. Just ask!